Stone Legends manufactures cast stone and cut stone of the highest quality. 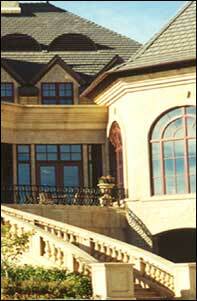 We specialize in crafting beautiful cast stone columns, cast stone veneers, balustrades and window and door surrounds. 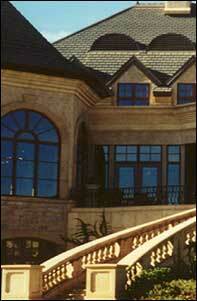 We have been supplying quality cast stone products nationwide from our plant in Dallas, TX since 1992. View a Documentary of our operations. Cast Stone is essentially a man-made limestone, a cost effective, aesthetic building material. View our Cast Stone Technical Section for more information. When comparing manmade cast stone products to quarried stone, three factors need to be taken into consideration: Time, Cost and Durability. When making cut stone parts with intricate design work, such as a Corinthian capital, the same amount of time is involved in reproducing each individual part. When using cast stone, once the original design work is complete on the first stone produced, the time is dramatically reduced on all following cast stones produced. Because of the speed and ease of producing additional pieces, the cost is substantially lower as well. Cast stone is more durable than natural limestone due to the process by which it is produced. By hand-forging each part, casted stone gains strength and durability without the air pockets that are common in natural stone. Need something unique, want to design a special cast stone item? Just take a hop over to the Profiles area and get acquainted with the shapes and parts used to make masonry units. A great way to add custom design or reduce prices is by isolating parts and profiles that you want. Where can I see some of your cast stone products installed? By looking through the Gallery area you can see a small sampling of our work on satisfied customers projects. We can also offer to find some of our cast stone installed on a home or office near you. Contact us to find out more. Specializes in elegant cast stone fireplaces, including beautiful hearths and mantels. 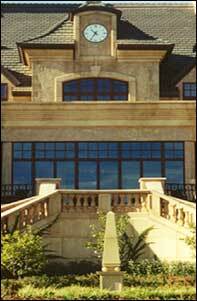 Elegant cut stone products including interior to exterior and residential to commerical. We offer a full line of commercial cast stone. Offers exquisite cut stone statuary, fountains, planters and other products. Sign Up for a membership and view any of our almost 10,000 AUTOCad DWG files and over 30,000 additional support documents on all of our units, including Cast Stone Entries, Cast Stone Columns and Pedestals, Cast Stone Windows and Doors, even Cast Stone Site Enhancements such as Cast Stone Gazebos, Cast Stone Fountains and Cast Stone Benches. By Becoming a Member you can "Create a Project" online and start adding units to the project. Contact us and our estimators can then look at your selections, offer assistance and better serve your stone needs! Or simply contact our sales professionals and they will walk you through it. Looking at reducing cost by building cast stone units from parts? =Build your own units= using one of our over 800 different profiles. This will allow you to quickly and affordably create custom stone units such as Cast Stone Windows, Cast Stone Doors, Cast Stone Keystones and Cast Stone Sills. We appreciate your orders and welcome any =comments or suggestions you may have regarding our cast stone products or services. Copyright © 2012. Stone Legends, Inc. All Rights Reserved. First of all, thanks for coming to StoneLegends.com. We can help build the home you've always dreamed of. Feel free to browse the site for ideas, tips, techniques and more. If you already know what type of items you are looking for, start in the Online Product List. Otherwise, gather some ideas with the help of our extensive Gallery. We offer many service that hold us up above the competition. - View all of our Services. Welcome to StoneLegends.com! We can help bring your projects along quicker and easier while saving you money. Need help gathering ideas for your clients? Try out our Product Packages. Cast stone units are gathered by area of the home saving you money and time in the design process. One of our major contributions to you Architects is downloadable AutoCAD DWG's of all of our units. Save time by becoming a member, finding a unit and downloading Unit Line Drawings, Assembly Drawings and more. Thanks for stopping by StoneLegends.com. We've organized enormous amounts information to help you complete your project faster and more efficiently. As an experienced contractor, we allow you to order stone by the part, allowing you to purchase exactly what you need. Simply select a profile and choose the part needed and we can get the order started. I would like to say we are very pleased to be a part of such a high profile project and for a good cause Scottish Rite Hospital. The good will associated with this project defines our community. Speaking for the trades it is common knowledge that Dallas is one of the most demanding markets in the whole of the country. The benefit of working on high profile projects nationally and internationally is the unique insight of the industry across the county. Born here I was not appreciative of how my home town people stack up on delivering a the bang for the buck. Dallas might have the appearance of a big city but it seems more personable than that; like a township of people even at the first greeting. They are creative as they are resourceful, diligent as they are timeless, giving as they are willing, it is people like those associated with this Luxe Show Home project that bring out the best in the rest of us. We feel privileged to be invited to participate.